Looking for more flexible options? Please use Kit Builder . 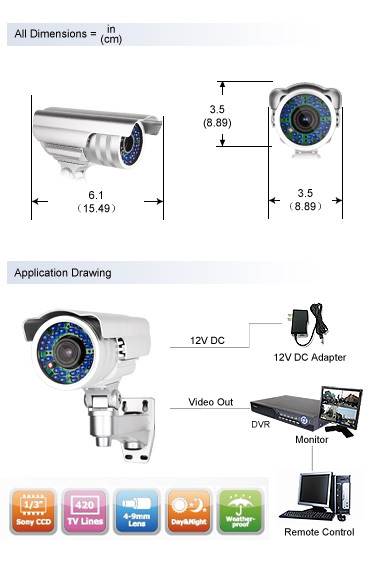 What are you expecting for a 4 camera surveillance system? Let me guess, a 4 channel H.264 standalone DVR, vari-focal lens to capture images far away or nearby, Sony CCD image sensor to deliver you incredible clear footage with no color variation, true night vision technology help you see up to 30 meters (100ft) away and gives you 24 hours surveillance day and night, professional weatherproof housing let cameras guarding you indoor and outdoor. With audio built-in, this camera can be used to identify all various voices, especially when the picture is not clear enough to help you identify the person. This camera with audio can offer you clear sound within 5 meters. All these state-of-art features you can find in this kit but still at an affordable price. 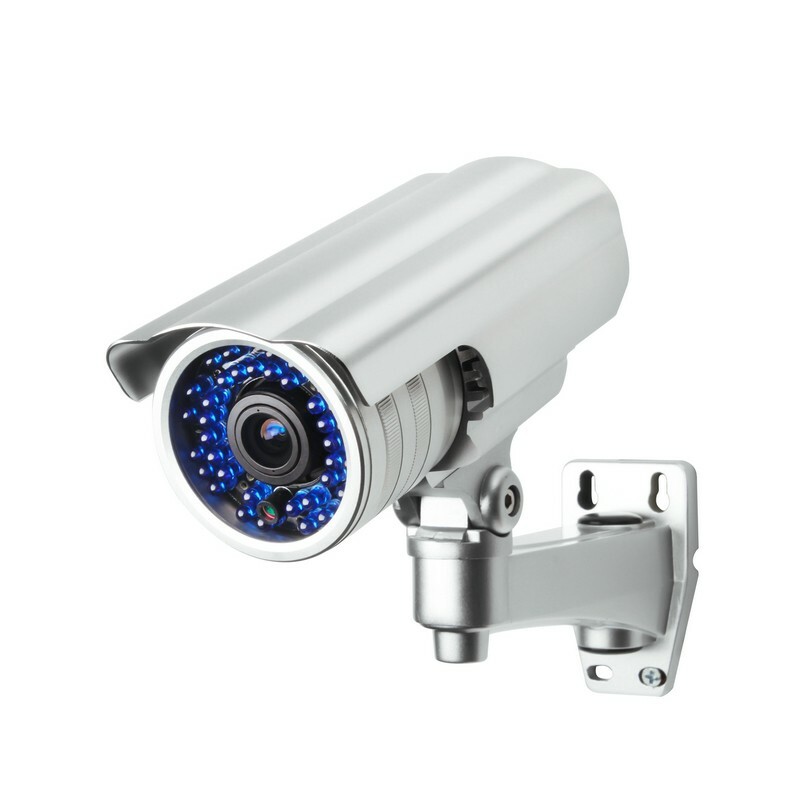 High quality 1/3" Sony CCD image sensor provides a crisp, clear and consistent image utilizing 420 TV lines of resolution. The camera delivers true color image with no color variation. 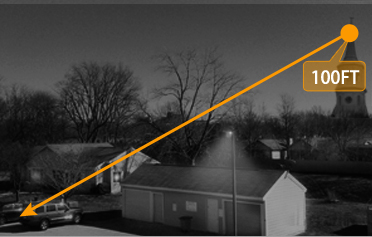 36 infrared (IR) LEDs activate automatically in low-light or no-light situations to allow you to see up to 30 meters (100feet) away, and deactivate once lighting conditions are brighter. 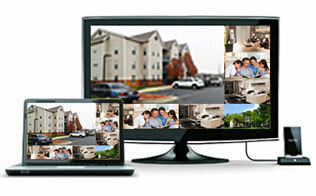 This system allows you to view your footage, no matter the time or location. 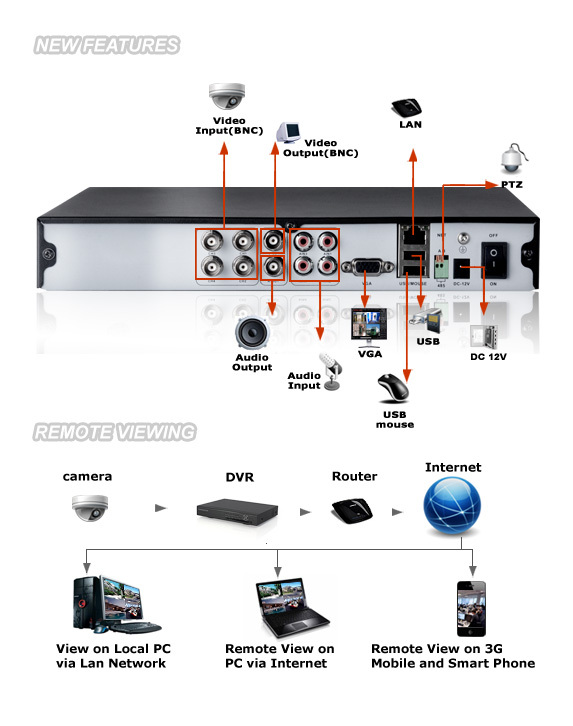 Access your DVR’s footage over the internet, or directly from your Android™ , iPhone®, iPad®, Symbian™ 5, Windows Mobile® , or BlackBerry® . The motion detection options allow you to record only when motion is detected to save hard drive space without missing important events. You can even ensure that false alarms are avoided by setting the motion detection “mask” to block areas with constant movement. Choose the specific days of the week and hours of the day you would like your DVR to record or not record. 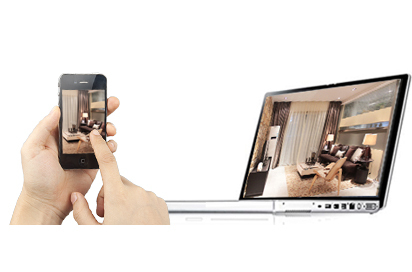 Each individual camera can be set with its own personalized schedule. 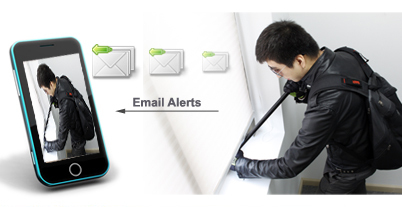 This system is designed to send an email alert, complete with photo of the activity, if any motion is detected, or if any camera experiences video loss. Get a closer view of your monitoring area with a 4-9mm vari-focal lens that manually adjusts to view subjects that are further away and nearby easily. This is beneficial when placing your cameras up high or monitoring areas that are further away. 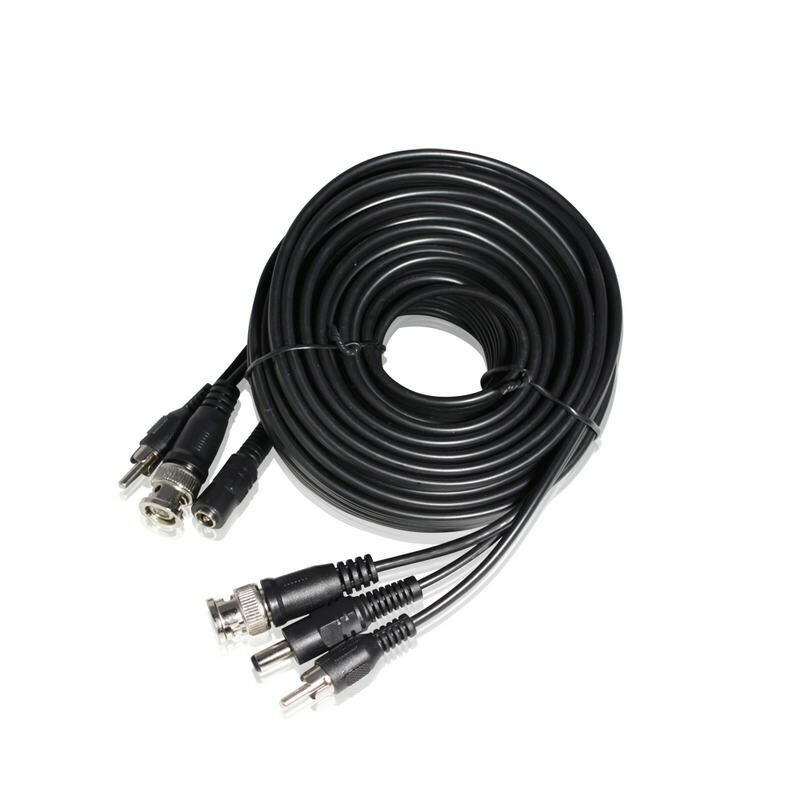 A TV can be used with an AV cable, while a PC monitor can be used with a VGA cable. This gives you more connection options while viewing activity captured by your cameras. A Built-in USB port gives you the option of backing up and transferring your video footage with a USB flash drive. 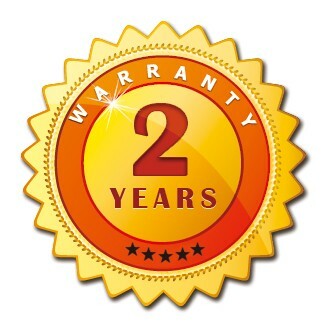 Each camera is constructed utilizing professional grade materials for the housing and a sunshade to help prevent glare, deterioration, and rusting. 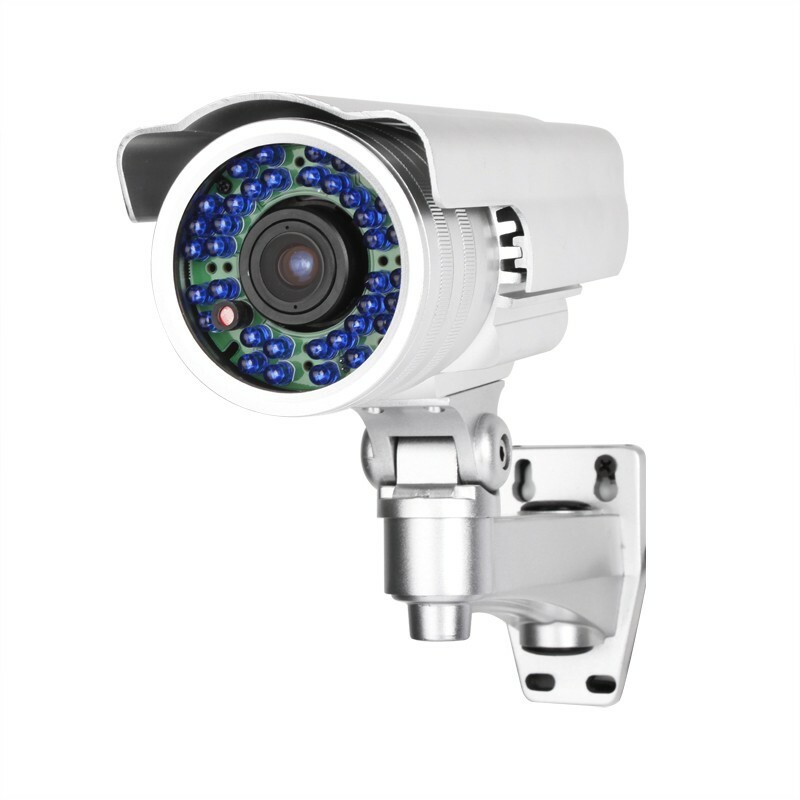 The cameras can be mounted in virtually any indoor or outdoor setting. With Auto Iris, Auto white balance and Auto Back light Compensation, the camera will let you enjoy image with qualified brightness, accurate color and consistent light level in different lighting conditions. You can switch from DC or video driven of auto Iris or choose to close or open the auto Iris to adjust the light level. Dimensions (W x D x H) 6.1" x 3.5" x 3.5"